Juice manufacturers need look no further than Southeast Bottling & Beverage for all of their ready-to-drink (RTD) bottling and copacking needs. We are the copacking experts, and we have been providing best-in-class services and superior customer support to clients throughout the United States for decades. Southeast Bottling & Beverage is an energy drink, liquid dietary supplement, functional drink, flavored water, sports drink, tea and juice bottling company that can expertly bottle and copack your products and get them ready for store shelves. Juice manufacturers, as well as the makers of other RTD products, often rely on Southeast Bottling & Beverage because they know that our facility is a cut above the rest. We have separate filling rooms, on-site refrigerated storage, an air-conditioned warehouse for the storage of raw ingredients, a separate pharmacy with HEPA filtration, and much more. Southeast Bottling & Beverage is also renowned throughout the industry for our multiple certifications. We are Organic, Kosher and HEPA Filtration certified, as well as an SQF Level III certified facility. This means that you can count on us to provide the highest levels of quality control. Not only will your products be safe, they’ll be top-quality, too. At Southeast Bottling & Beverage, our capabilities are vast. 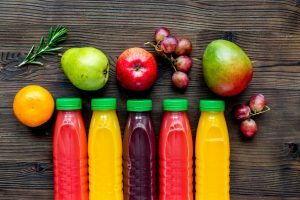 As a full-service, turnkey energy drink, liquid dietary supplement, flavored water, sports drink, functional drink, tea and juice bottling company, we offer a wide range of services and options not always found at other co-packing companies. Tea, water, and juice manufacturers can turn to us for multiple mixing technologies, hot fill flash pasteurization, registered film or carton packaging options, and much more. If you are in Florida, Louisiana, Virginia, New York, New Jersey or elsewhere throughout the USA and you have a new or existing RTD product, speak to the experts at Southeast Bottling & Beverage today. We have the facility, equipment, experience and qualifications to provide you with the highest quality services at rates your company can afford. We have helped hundreds of tea, flavored water, energy drink and juice manufacturers, and we look forward to serving you. Contact us today!